William Hubbard and Mike Johnson are helping to build the Broken Clock Brewing Cooperative in Minneapolis, Minnesota. It follows the cooperative brewery business model. Cooperative breweries are an increasingly popular way to build a local brewery that helps build the community. 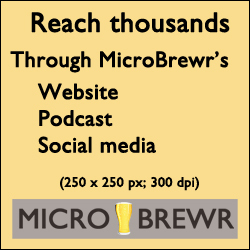 We’ve previously talked a bit about the subject on MicroBrewr Podcast and blog. For a brewery truly rooted in the community, consider forming a cooperative by Sara Stephens, MicroBrewr, February 17, 2015. Now here’s an example of a cooperative brewery that is up and running, brewing their own beer, splitting the profits, investing in the community, and building a community around the co-op. The idea of employee ownership, and especially co-ops are becoming quite popular in the craft beer scene. Every cooperative brewery will be set up differently. Here’s one example and lots of ideas for your brewery to follow this model. Established in September 2015, doors opened at the physical location in May 2017. The rules of one-person, one-vote and one-person, one-equity share ensure equality and allows inclusiveness. The board consists of 15 volunteers from the membership. Currently, the only paid positions are 2 operations managers and 4 staff. 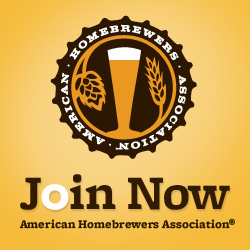 Brewer members have the additional benefit of being allowed to brew. This benefit is exercised as unpaid/volunteer for work experience or just to have fun. Broken Clock Brewing Cooperative took a big step forward when they bought equipment and took over the lease from another brewery. The space has become something of an incubator for breweries. Two previous breweries had grown in size enough to move to larger spaces, so they sold to the next brewery. Now Broken Clock has become successful enough they are considering how to pass the torch to a fourth brewery that could operate in the same location. Minnesota Craft Brewers Guild does have monthly safety meetings. However, worker safety in the craft beer industry isn’t a topic that is broadly discussed. Yet, worker safety should always be a top priority. Loss of work, workers compensation claims, and other liabilities are commercial concerns aside from just taking care of your employees. As the craft beer industry becomes more prolific and professionalized, expect to see greater attention to this topic. Kettle size: 7 BBL. Boil kettle, 7 BBL mash tun, 10 BBL hot liquor tank. Size and quantity of fermentation tanks: 3, 10-BBL fermenters. Size and quantity of bright tanks: 1, 10-BBL brite tanks. Annual brewing capacity/last year’s production: Should be on track to do 750-800 BBLs this year. Square footage: 780 sq. ft. for production brewery. Added 5,000 sq. ft. for taproom which opened Nov 2018. At least 1,000 sq. ft. will be allocated to upcoming brewery expansion. Years in operation: 4 months (at the time of recording; opened May 2017). From Gastón Rivera via Twitter: Why open a brewery? To brew another IPA or another sour? Practical Handbook for the Specialty Brewer 3-volume set by Karl Ockert (Editor). Operation Brewery: A Step-by-Step Guide to Building a Brewery on a Budget by Eddie Oldfield, Mike McGovern, and Dan Norris. Is Groupon a Good Choice For Your Brewery Marketing Strategy?, Fill Your Taproom. Maple Island Brewing, Stillwater, Minnesota. Wicked Wort Brewing Company, Robbinsdale, Minnesota. MNvest, equity crowdfunding for Minnesota. Fair State Brewing Cooperative, Minneapolis, Minnesota. Blue Nose Gopher Public House Cooperative, Granite Falls, Minnesota. Co-op law is different in each state. Be sure to consult your own attorney. If you’re thinking of starting a brewpub, the cooperative business model might be the way to go. Chris Hamje has been at Black Star Co-op Pub and Brewery, in Austin, Texas, since shortly after they opened. He explains how the cooperative model plays out for their operation. 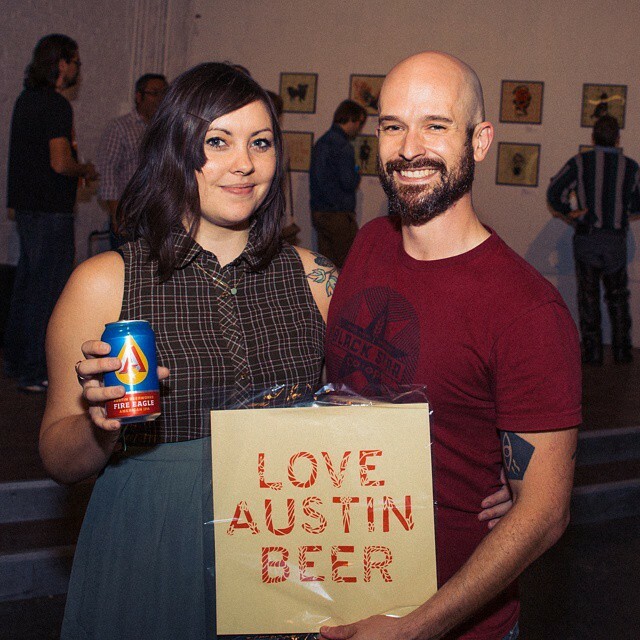 Jessica Brook Deahl, an accomplished and self-proclaimed “Beer Artist” at her opening show with head brewer Chris Hamje of Black Star Co-op. There are many ways to organize a brewery co-op. Black Star has 2 member bases. There are about 3,000 “patrons” worldwide, who pay $150 for a lifetime membership, and gain the right to elect a 9-seat board of directors. The “workers assembly” has great autonomy as they follow the board policies on a day-to-day basis. Employees must work at the co-op for one year before going before an election to gain a place on the workers assembly. The workers assembly has one meeting each month, and votes on day-to-day operations. Look at how your state’s laws treat a co-op. Choose a location with high visibility. Take a class in organic chemistry. Hire an extra staff member. Last week we talked with Sustainable Economies Law Center to get an overview of the cooperative business model and how it might apply to a brewery. Next week we’ll hear from San Jose Co-op Brew Pub about their plans to start California’s first co-op brewery. Size and quantity of fermentation tanks: 4, 10-BBL. Size and quantity of bright tanks: 5, 10-BBL. Annual brewing capacity/last year’s production: A little over 700 BBL. Square footage: Around 900 sq. ft., including a mezzanine. Years in operation: 4 years (opened 2010). From Zack Chance: Where do you recommend buying ingredients on the West Coast? How do estimate the number of customers in a year? Cooperation Texas, crating dignified jobs for the planet, for the people. The Five Competitive Forces That Shape Strategy, Michael Porter, Harvard Business Review, January 2008. The Country Malt Group, your complete brewing solution. Brewers Supply Group, Inc. (BSG Craft Brewing). 4th Tap Brewing Co-op, Austin, Texas.